An SDO defined as a fatal accident, driving related Penal Law conviction for two or more violations for which 5 or more points are assessed, or 20 or more points for any violations in 25 years. 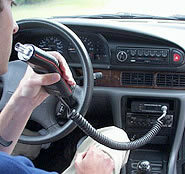 Applicants with three or four alcohol/drug related convictions or incidents within 25 years without a SDO, and whose revocation DOES result from an alcohol/drug driving conviction or incident, will be denied re-licensing for five years in addition to the statutory revocation period, and then will be re-licensed with a problem driver restriction for five years with an ignition interlock device (IID). Applicants with three or four alcohol/drug driving related convictions or incidents within the past 25 years, with a serious driving offense, will be permanently denied re-licensing, subject to compelling extenuating circumstances. Applicants with five or more alcohol/drugged related conviction or incidents in their lifetime will be denied re-licensing subject to compelling extenuating circumstances. Remember DMV goes back 25 years while most record checks only go back 10 years. It is difficult to generate sympathy either administrative, legislative, judicial or prosecutorial for people with multiple drinking/drug driving offenses. It is imperative that driver have the services of an attorney with extensive background in this type of defense so the motorist can make informed decisions on how to proceed.